Whether you are using a normal microphone, headset microphone or a lapel microphone, you can set it up to work with your laptop. 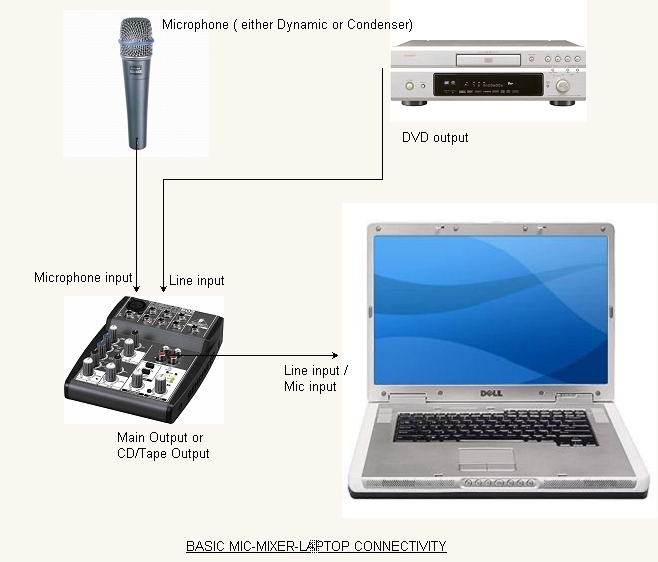 Some popular uses of microphones on laptops include chatting, recording a report, music, or other audio, online gaming and internet phone conversations. 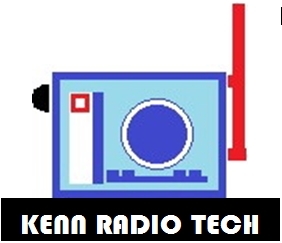 There are many articles online that show you how to connect a microphone to a laptop. It does seem so easy and anyone can do it without much problem. Furthermore you don’t need much gadget to do it. All you need for simple system are microphone (preferable professional low impedance microphone i.e. shure sm58), microphone cable, a good sound card and a microphone input. Most laptops already have these features. However, most of us has no real problem with that but only when you get a low, poor quality audio out of the microphone that where the problem start. Now, how do we go about getting that good quality voice (much like the BBC kind of sound) into your laptop or desktop computer? The answer to that question is an audio mixer plus phono stereo cable. This is what you really need in addition to the above requirement. 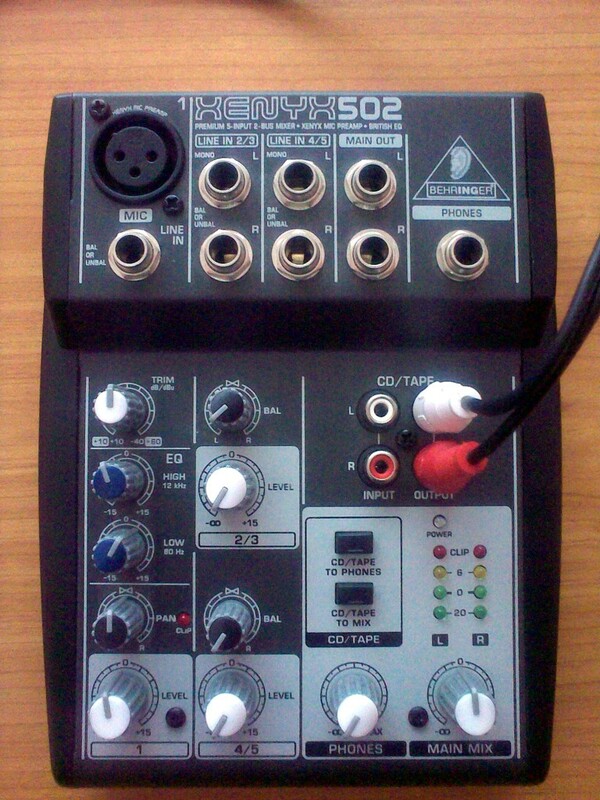 For this example, I am using a Behringer Xenyx 502, one mic input and four line input, small-compact analog mixer. The connectivity of this mixer to laptop is straight forward (see the diagram below). The diagram speaks for itself. Some laptop does not have line input, so mic input is used instead. 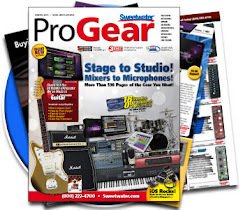 Therefore when you connect your stereo plug into this mic input, humming or buzzing sound can be heard through your laptop speakers. This is because mic input is for mono signal, not quite right with stereo input hence the buzzing. To rectify this matter an additional plug is required i.e. 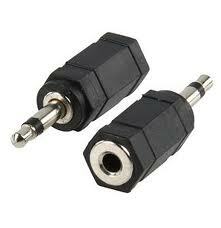 3.5 mm Mono plug. Faulty cable can also contribute to noise in the signal, so make sure you have a good cable. Just plug in the stereo 3.5mm jack into the input of the 3.5mm mono jack. Then insert the 3.5mm mono jack into the mic input of the laptop. The 3.5mm mono jack act as stereo to mono signal converter. Hopefully this will get rid the humming or buzzing sound. PLEASE NOTE ; It is recommended to use line input instead of mic input of the laptop. On the mixer, adjust the tone of your voice using the 2-band EQ. You should be able to get that desire voice (husky and warm voice) within few minutes of trial and errors and a good pair of ears. 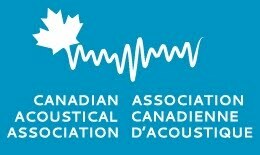 Be careful though not to boost the input mic gain (trim) too high otherwise you get a distorted voice. Set the Channel gain to zero (0), set the mic gain to about 12 o’clock and adjust the main mix until the mixer level indicator (LED) blink on or below zero. Below are the settings of the knob of the mixer for your reference. try using line input instead of mic input. Hi Yasin, Thank you for your comment. Glad you find the article informative.